If you aren’t convinced of the importance of Italy’s automotive history, consider that there are around 15 car museums packed into a relatively small area concentrated around Turin and Modena, where the country’s automotive heartland—the “terra dei motori”--once thrived. Though Italy’s car industry, like most of the world’s, has largely been outsourced to foreign countries, visitors to these museums can revisit the country’s automotive heyday when buzzing factories were churning out these timeless motor masterpieces. Tweetable: Some of the sexiest cars produced since Ford cranked out the first Model Ts have come from Italy. No name is more evocative of Italian sports cars than La Rossa, Italy’s iconic candy-apple red racers. 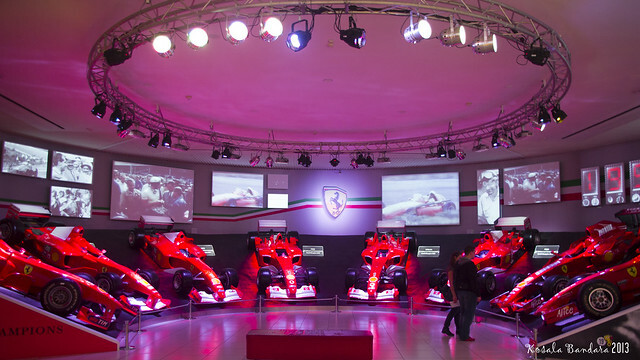 This museum focuses on the history and production of these works of art (which are, indeed, displayed with all the dramatic lighting and curation of masterpieces), including a section devoted exclusively to their historic Formula 1 racing team. The collection is rather small (about 25 cars are displayed) and includes both racing and road cars and a number of automotive artifacts and memorabilia, and the sleek museum and nearby test track are a fun destination for lovers of cars, racing, and history. This museum was the brainchild of Tonino Lamborghini, son of founder Ferruccio Lamborghini, and is a tribute to Ferruccio’s life and career. Starting from the first production model from 1964 to the iconic road models of the following decades, to the final Countach to come off the line and a number of concept cars from the past ten years, this museum traces the evolution of the aesthetic and technology of the marque. There is also the world’s fastest police car (the Gallardo of the Italian Polizia Stradale), a number of Lamborghini’s F1 models, and enough photographs and scale models to satisfy any aficionado. One of the oldest single-brand museums (it opened in the mid-1970s), this museum celebrates not only the Alfa Romeo brand but the salad days of Italian automobiles as a whole. One of the few Italian sports cars marginally within reach of the public, Alfa Romeo is universally loved in Italy and the popularity of their dedicated museum is testament to the symbiotic relationship between this iconic Italian brand and Italy itself. A huge collection of more than 100 cars are displayed (roughly half of the museum’s total collection), including road and racing cars, concept cars and prototypes, and a number of legendary race winners. What do Ferrari, Alfa Romeo, Fiat, Lancia, and Maserati all have in common? Besides being the most recognized names in the Italian automotive industry, they are also long-standing customers of Pininfarina, the independent Italian auto design firm based outside of Torino. Founded in 1930, Pininfarina isn’t a household name, but many of the models the firm has designed are, including the Giulietta Spider, the Sigma Grand Prix and the Maserati Birdcage 75th. Their total collection of 50 cars is on rotating display, and include rare one-offs or examples from limited series together with examples of production runs. Tweetable: Looking for a kid (and husband/wife) friendly day trip in Italy? 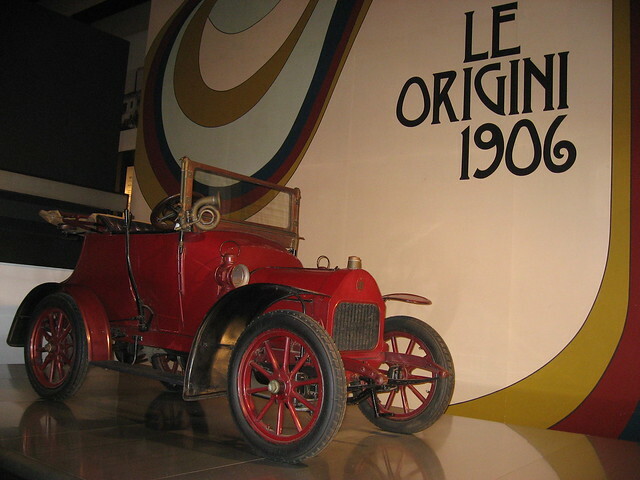 Try one of its fabulous car museums. With one of the largest collections of cars on display in Europe, this automobile museum is a mecca for antique and vintage car enthusiasts. Opened in 1932, the complex underwent a radical makeover and recently reopened with a contemporary new look and user-friendly curation. Its three floors walk visitors through the automotive history of not just Italy, but the world, with a collection including everything from the Model T (yes, that one) to prototype solar cars of the future. The variety of the collection and the themed curation (automobiles in historical, design, and anthropological contexts) give the museum more depth and scope than a simple oh and ah moment. It seems only fitting that Italy’s most historic automobile race should be housed in an even more historic 11th century monastery. This thousand mile open-road race was held competitively from 1927 to 1957 (it is now an equally beloved annual amateur time-trial event), and its winners at the wheels of then little-known names such as Ferrari, Maserati, and Alfa Romeo made history. 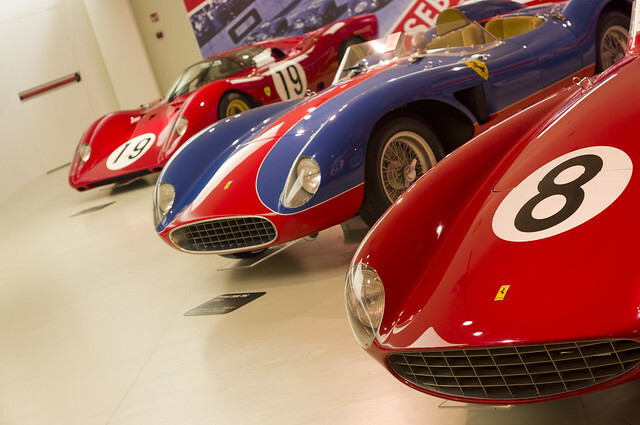 The Mille Miglia Museum pays homage to these cars, their drivers, and the culture and history of the race in general with a vast collection of cars and memorabilia.